Holy Trinity Church parishioners present gifts to Cathy Gleason, Executive Director of Life Outreach Center (LOC) in Jefferson City. The church participates in the Spiritual Adoption of the Unborn, a program in which parishioners pray each day for none months the prayer composed by the Venerable Fulton J. Sheen for a baby, unknown to them, in danger of abortion. 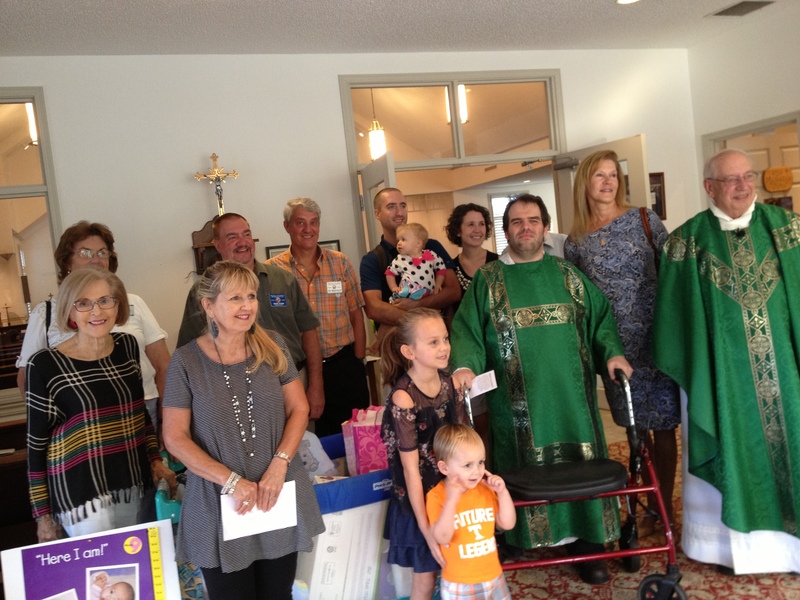 At the end of nine months, the church celebrates with a baby shower at which gifts and monetary donations are presented to the pregnancy resource center. Contact Marlene Yurick for more information.